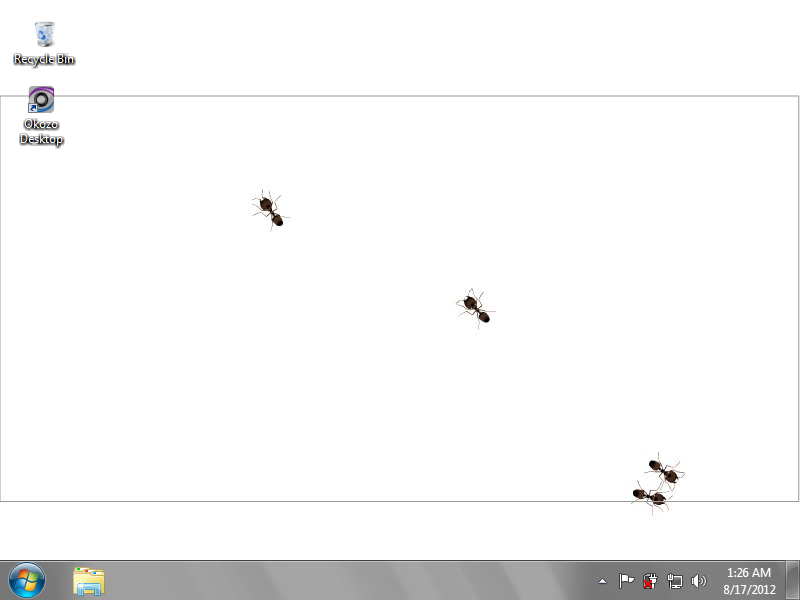 Watch these quick little ants scurry all over your desktop with this interactive animated desktop wallpaper. Let these little bugs run free all over your background or get clicking, if you can keep up. Watch these quick little ants scurry all over your desktop with this interactive animated desktop wallpaper. Let these little bugs run free all over your background or get clicking, if you can keep up. Just like real ants, you'll have to be quick to catch them! A low-resource, lightweight animated desktop wallpaper. Safe and signed installer.